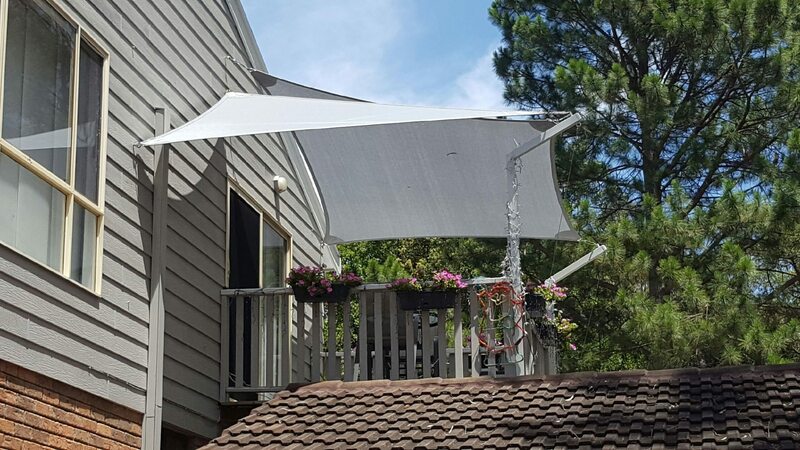 The ozone layer’s continuing depletion has made owning a shade sail a necessity, not a luxury. 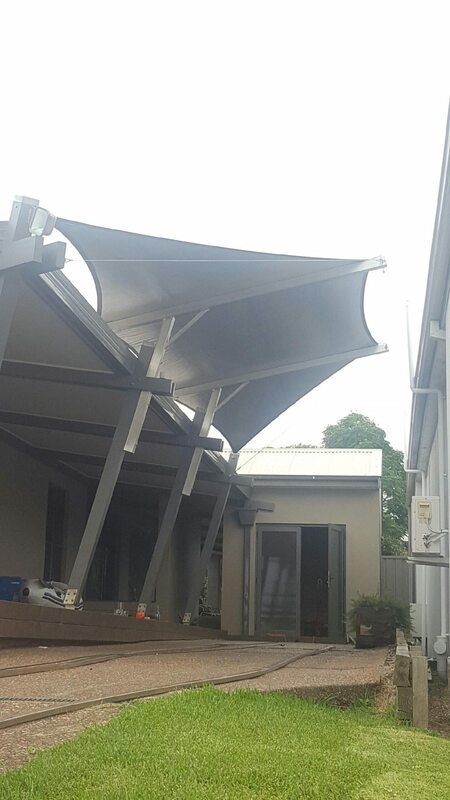 Shade sails allow us to enjoy the sun without the danger of being exposed to its harmful UV rays. They even serve as protection for the things we own, like our cars. Sometimes, even the best sun blocks are not enough if you plan to stay in the water for hours. You need something stronger – a structure, perhaps – to shield yourself from harmful UV rays. 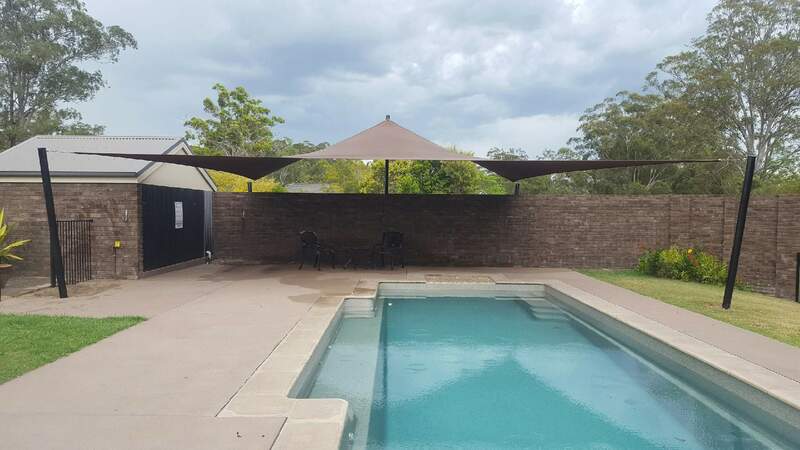 Shade sails are designed to provide protection from the suns harmful UV rays and heat exposure. Australia has the highest rate of skin cancer in the world, with around 374,000 Australians treated for a non-melanoma (non-life threatening) skin cancer and more than 8,800 are diagnosed with a melanoma each year. Over 1400 Australians die from melanoma or non-melanoma skin cancer each year. It is important to take sun protection measures when ultraviolet (UV) radiation levels are high. wear close-fitting sunglasses to protect against eye damage. Protect your face, but don’t forget the rest of your body. The most common sites for the deadliest form of skin cancer, melanoma, are the lower legs for women, and the upper back for men. 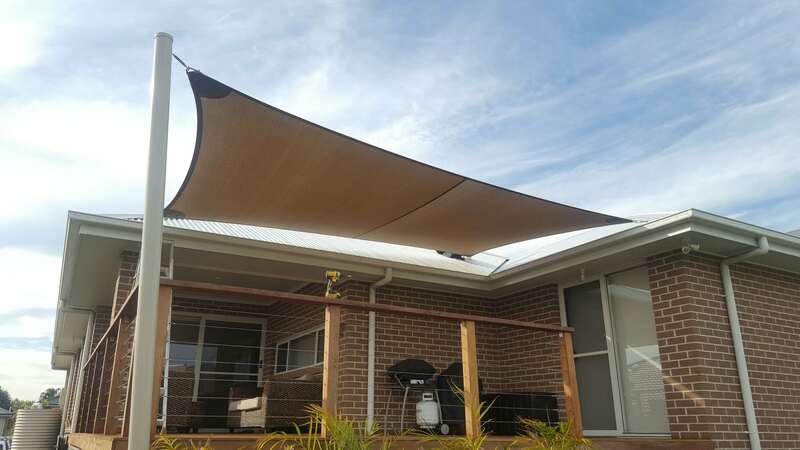 Our recommendation is to use above 95% UV rated shade sails which is the requirement for childcare and schools and we encourage people to use the same rated or better shade sails for their home. UV radiation is not part of the visible spectrum of light, nor is it thermal radiation – unlike sunlight it cannot be seen, nor can it be felt like the sun’s warmth. As our senses cannot detect UV, overexposure may be damaging our skin and eyes without our knowledge. Australia experiences some of the highest levels of UV radiation in the world because we are close to the equator and have many clear, blue-sky days. The Earth’s orbit also brings countries in the southern hemisphere (Australia included) closer to the sun in summertime than countries in the northern hemisphere during summer. UV-reflective surfaces (such as snow and water). Solar UV intensity increases with sun elevation (incident angle of sunlight), altitude and lower latitude. The ozone layer and to a lesser extent heavy, non-scattered cloud cover can reduce UV radiation. However, cloud cover does not attenuate solar UV intensity to the same degree as infrared intensity (sensation of heat). Sunshine feels good, but it also soaks unprotected skin in ultraviolet (UV) radiation. Over time, this invisible carcinogen causes premature aging, eye damage, a greater risk of skin cancer and more. Childhood is the Ideal Time to Instil Sun Safety. Children are of particular concern because they spend a lot of time outdoors. Skin cancer and other UV-related health effects are largely preventable if sun-protection practices are followed early and consistently. Start educating your children now about sun safety. Staying inside during the sun’s peak hours – 10:00 a.m. to 3:00 p.m. Taking cover under trees, umbrellas or shade structures. Covering up with clothing, sunglasses and wide-brimmed hats. Using sunscreen with an SPF of 15 or more. Practicing sun safety every day – even on cool or cloudy days. Sunscreen should be applied 30 minutes before exposure to the sun, and reapplied every two hours. Use waterproof sunscreen that cannot be washed off by water or sweat. Do not use sunscreen containing the insect repellent DEET which reduces the SPF of sunscreen. Do not use sunscreen on babies under six months old. Cover them up with clothing and shade instead. According to the American Cancer Society, skin cancer is the most common of all cancers. The incidence of skin cancer is greater than the incidence of breast, lung, prostate, colorectal and kidney cancers combined. In the United States , about 1.3 million new cases of skin cancer are diagnosed each year. Decrease in the amount of clothing worn outdoors. Decrease in atmospheric ozone levels. Skin cancer is a largely preventable disease. Exposure to UV radiation may be the most important preventable factor in determining a person’s risk for skin cancer (American Academy of Dermatology, 1998). Basal cell is the most commonly diagnosed skin cancer. Approximately 75 percent of skin cancers are basal cell (American Cancer Society, 1997). Basal cell usually appears on overexposed skin on the face, ears, lips, and particularly the nose. Rarely does basal cell result in death, but it can spread and cause more serious health problems. Basal cell can start as a red patch or shiny bump that is pink, red, or white. It may be crusty or have an open sore that won’t heal (AAD, 1994). Squamous cell is the second most common of skin cancers, accounting for about 20 percent of skin cancers. Unlike basal cell, it is more aggressive and can spread to other parts of the body and may result in death. Squamous cell carcinomas appear as a scaly patch or raised warty growth (AAD, 1994). Because of effective early detection and treatment, basal and squamous cell cancers have a cure rate of more than 95 percent (CDC, 1998). Malignant melanoma is the most deadly of the three major skin cancers, causing approximately 75 percent of skin cancer deaths. The incidence of melanoma is increasing at a rate faster than that of any other cancer. Melanoma cases in the United States have almost doubled in the past two decades. Melanomas are usually dark brown or black mole-like patches with irregular edges (AAD, 1994). Melanoma is the most aggressive of the skin cancers. If not caught early, melanoma can spread to other parts of the body and can be fatal. However, when detected early, it is one of the most curable cancers. The American Academy of Ophthalmology has cautioned that excess exposure to UV radiation may increase the incidence of cataracts. Cataracts are a form of eye damage that causes the loss of transparency in the lens, clouding vision. Everyone is at risk for developing cataracts. Another potential effect of UV radiation is a “burning” of the eye surface, called “snow blindness” or photokeratitis from sunlight. The effects usually disappear within a couple of days, but may lead to further complications later in life. UV damage to the eyes is cumulative, so it is never too late for people to start protecting their eyes. A very high percentage of age-associated cosmetic skin problems can be attributed to sun (Levine, 1997). Chronic overexposure to the sun changes the texture and weakens the elastic properties of the skin. The epidermis, which is the outer layer of the skin, thickens, becomes leathery, and wrinkles as a result of sun exposure. The difference between skin tone, wrinkles, or pigmentation on the underside of a person’s arm and the top side of the same arm illustrate the effects of sun exposure on skin. In most cases, the top side of the arm has had more exposure to the sun and shows greater sun damage. Sun-induced skin damage causes wrinkles and furrows, easy bruising, brown or “liver spots,” precancerous lesions (actinic keratoses), and potentially skin cancer (Skin Cancer Foundation, 1992). Photoaging of the skin is also cumulative, it is never too late for a person to start a sun protection program. Scientists believe sunburns can alter the distribution and function of disease-fighting white blood cells in humans for up to 24 hours after exposure to the sun. Repeated overexposure to UV radiation can cause more damage to the body’s immune system. Mild sunburns can directly suppress the immune functions of human skin where the sunburn occurred, even in people with dark skin. 1 in 3 men and 1 in 4 women will be directly affected by cancer before the age of 75. More than half of them will be successfully treated. The survival rate for many common cancers has increased by more than 30 per cent in the past two decades. But, cancer is still the leading cause of death in Australia – over 36,000 people die from cancer each year. The most common cancers in Australia (excluding non-melanoma skin cancer) are colorectal (bowel), breast, prostate, melanoma and lung cancer. Cancer costs $2.7 billion in direct health system costs (5.7%). $215 million was spent on cancer research in 2000-01, just above 18% of all health research expenditure in Australia. * About 374,000 cases of non-melanoma skin cancer (the most frequently occurring cancer in Australia, but the least life-threatening) also are diagnosed each year. How does cancer in Australia compare with other countries? Cancer incidence in Australia is higher than for the United Kingdom and Canada, but lower than the United States and New Zealand. However, Australia’s mortality rates are lower than all four of these countries. The melamona incidence rates in Australia and New Zealand are around four times higher than those found in Canada, the UK and the US. However, mortality rates for melamona in Australia are quite low compared to other countries. Australia’s mortality rate for lung cancer is significantly lower than the US. For men, our death rate is 32% lower than the US and 48% for women. Incidence of colorectal cancer in Australia is higher than the US, Canada and the UK, but less than New Zealand. Australia’s mortality rates for colorectal cancer are also high by world standards, including above those of Canada, the US and the UK. Australian Institute of Health and Welfare and Australasian Association of Cancer Registries, Cancer in Australia 2001 , Canberra, 2004. National Cancer Control Initiative, The 2002 National Non-melanoma Skin Cancer Survey , Melbourne, 2003. The most recent published national cancer incidence and mortality figures are in the Australian Institute of Health and Welfare report Cancer in Australia 2001 (published December 2004). The report can be viewed on the AIHW website .